Below is the article by NNA (Malaysia) Sdn. Bhd., published on 21st May 2002, circulated in Peninsular Malaysia. The article is an interview with Aikido Shihan, Jun Yamada of Akademy Aikido Jyuku (established as Aikikai Malaysia in 1971). With much appreciation to NNA(Malaysia) Sdn. Bhd., who has given their acknowledgement to put the interview on Academy Aikido Jyuku's web page, we would like to share the interview with our readers. The Daily NNA (Malaysia Edition), Tuesday, 21st May 2001. 31 years have passed since Shihan Jun Yamada moved to Malaysia in 1971 to spread a martial art called Aikido in Sarawak. 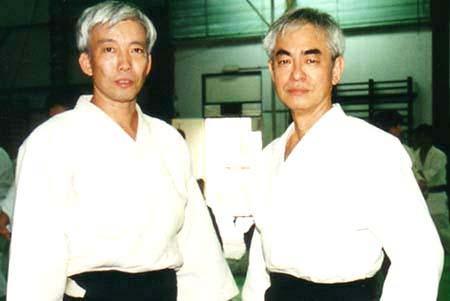 Since, Shihan Yamada's stabilized his life in the suburbs and his main work concentrated on guiding his pupils.In commemoration with the 30th Anniversary of Aikido in three places in Malaysia, Academy Aikido Jyuku (established as Aikikai Malaysia in 1971) moved its headquarters to Kuala Lumpur. Aikido is likely to expand more actively. 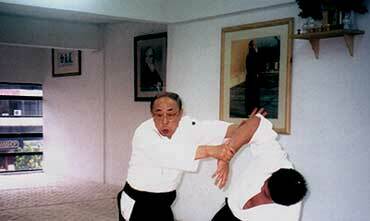 It all began in 1971 upon the request of Tun Abdul Rahman, (then the Chief Minister of Sarawak) who chose Aikido, the martial art that lays great emphasis on the training of the mind. Aikido as an art of self-defense differs from other martial arts in that there is no competition.In Aikido one doesn't regard the opponent as an enemy. Therefore there is no win or loss.Tun Abdul Rahman chose this art because its principle of not wanting to harm the opponent but, rather to win him as a friend.This, is very much in accord with the teaching of Islam. 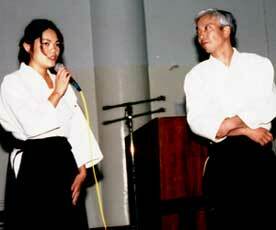 Shihan studied Indonesian language during his student days in Tokyo. It was a natural bend on the road when Hombu Dojo was looking for someone who could of course speak Malay and Shihan was the best available choice. After six months in Sarawak, an Islamic wedding ceremony was held at Rumah Sarawak, the residence of the Chief Minister of Sarawak - the bridegroom Jun Yamada and the bride Ms. Kimiko became husband and wife. 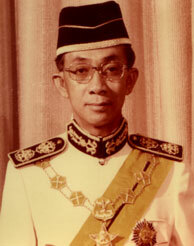 Jun Yamada adopted the Islamic name of Rashid and his amiable wife that of Qamariah.Then as now, the Japanese population in Sarawak remains small.In those days there was not a single Japanese restaurant nor Japanese food sold in the market.Because of their amiability both Rashid and Qamariah easily adapted to the new surrounding.They were welcome as brother Muslim and sister Muslimah. Their two children grew up with the locals.Muslims attend to their first prayer at right before dawn and are therefore, early risers. Right through the beginning, Shihan with the agreement of his students began to have practices early in the morning.The first batch of students numbered 30.Males and females all of whom were members of BINA. The Aikido population grew in number.There are now more than a thousand. 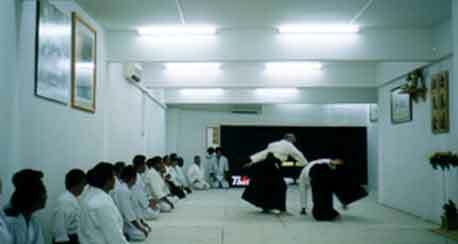 From Kuching Aikido movements has spread to Peninsular Malaysia.Shihan leads the Aikido Club at the International Islamic University in Kuching from 1993. 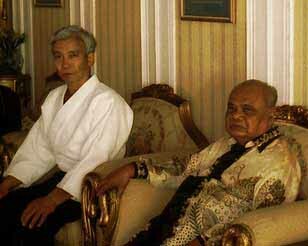 In 1995 Shihan was invited to give private lessons to HRH Pengiran Muhammad Bolkiah, Foreign Minister of Brunei Darussalam. Through a long but steady process in Kuching, potential Malay enthusiasts grew. 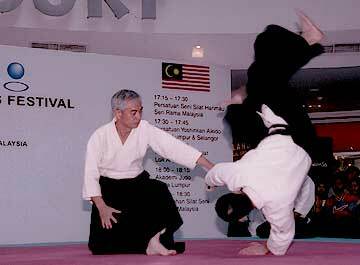 Last year, the Malaysian Royal Police asked Shihan to teach Aikido at their training centre in Kuala Lumpur. Naturally, the Academy Aikido Jyuku moved to Kuala Lumpur. The present Honorary President of Akademy Aikido Jyuku is Y.A.B Tun Dr Abdul Ghafar Baba, (former Deputy Prime Minister of Malaysia). The AIKIDO practice at the police-training centre began in May, 2002. 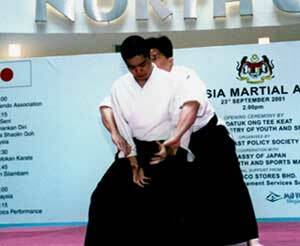 Prior to this, Shihan also started to give private lessons to individuals one of whom is the present Agricultural Minister, Y.A.B Datuk Sri Effendi Norwawi). In June 2002, this year upon the invitation of Academy Aikido Jyuku, the Director of the International Section, Hombu Dojo, Japan, Mr Yonemochi Hideo officiated the opening ceremony of the dojo at the Japan Club. All are welcome to practice Aikido including non-members of Japan Club. Rashid and Qamariah have been living in Malaysia for more than three decades. What came as a surprise to both was that, though there is quite at large Japanese population in Kuala Lumpur, not many know about Aikido.Aikido takes a much longer time to master compared to other Japanese martial arts.It takes a minimum of three years to attain a Black Belt rank in Aikido.Although the time taken to learn the art is rather long, nevertheless with perseverance and constant practice one will achieve a good standard. Both Rashid and Qamariah have resolved to make Malaysia their home.They enjoy giving Aikido lessons to Malaysians. Academy Aikido Jyuku look forward to an increasing number of Aikido practicioners in the future.